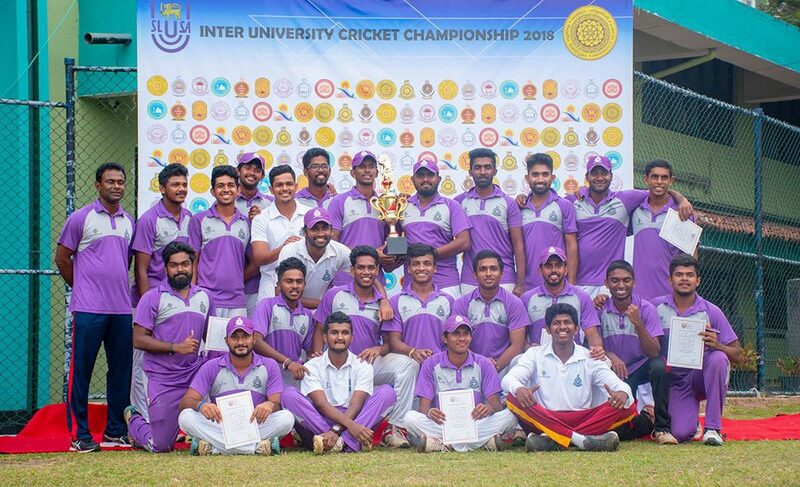 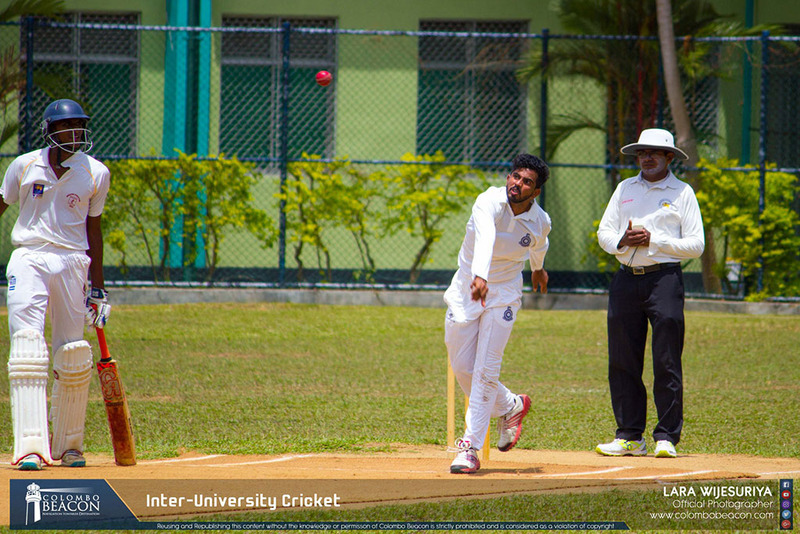 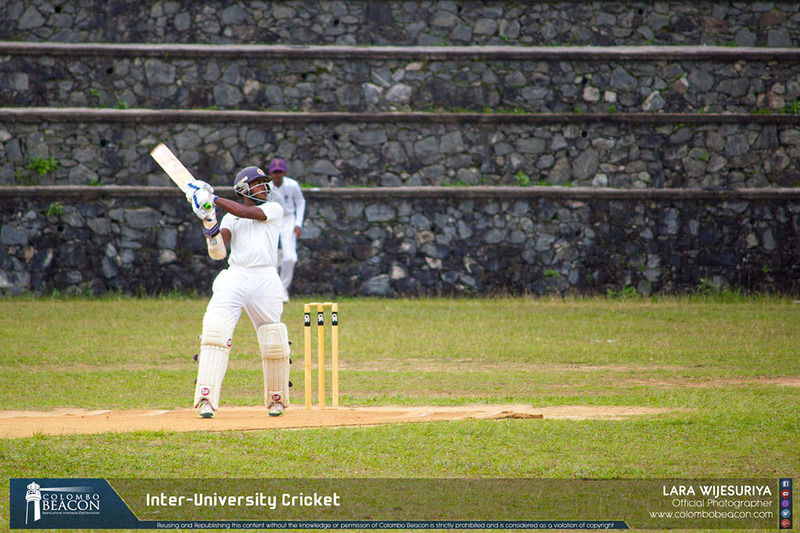 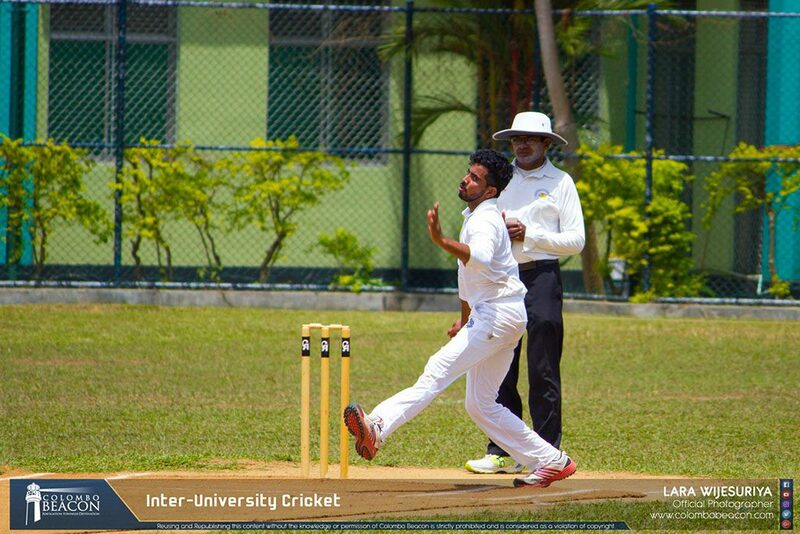 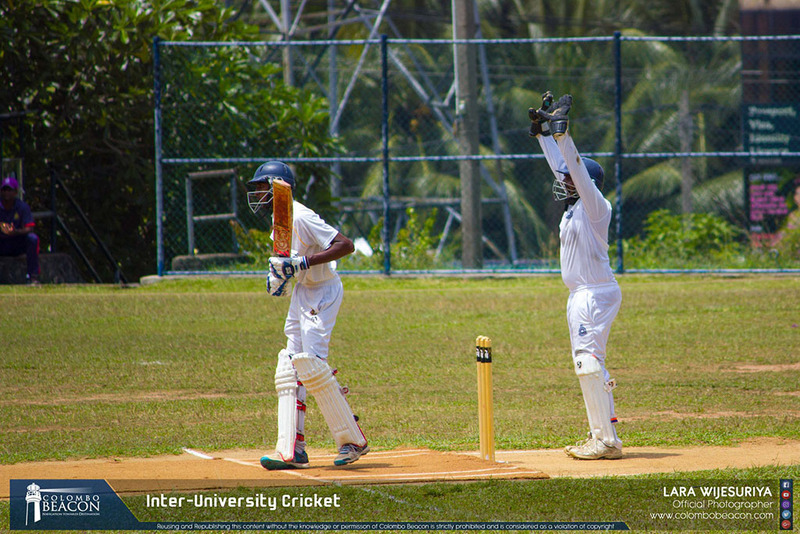 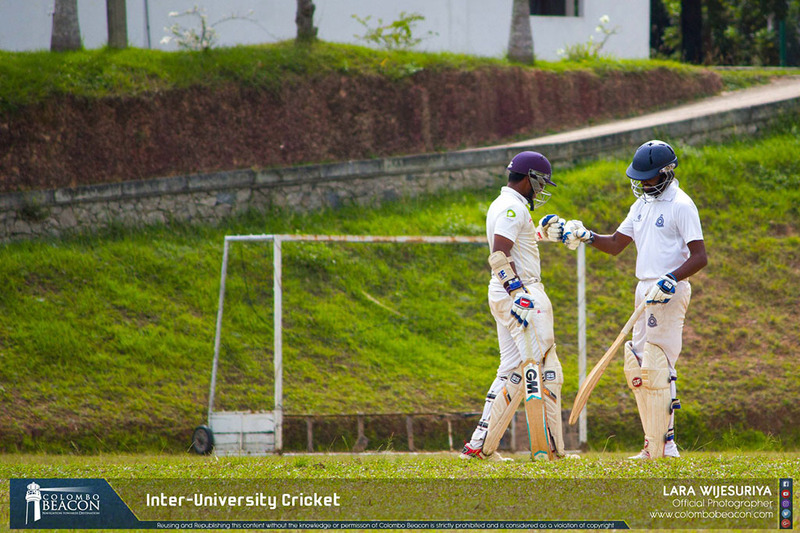 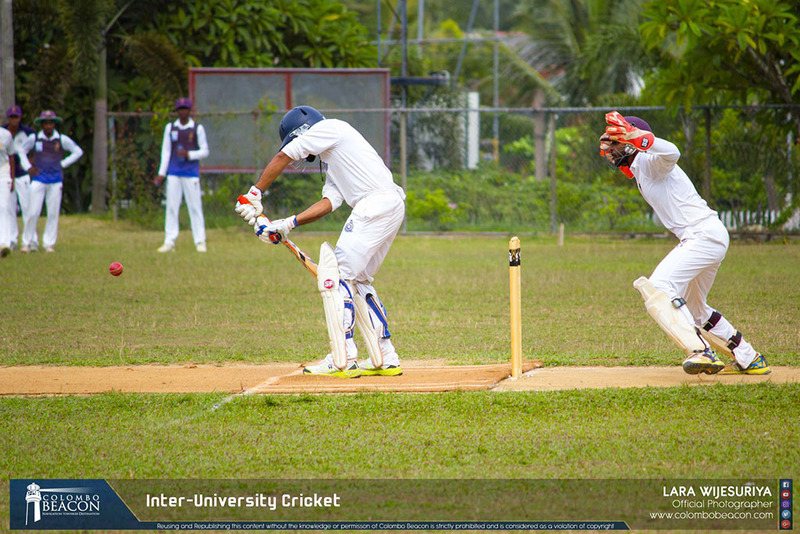 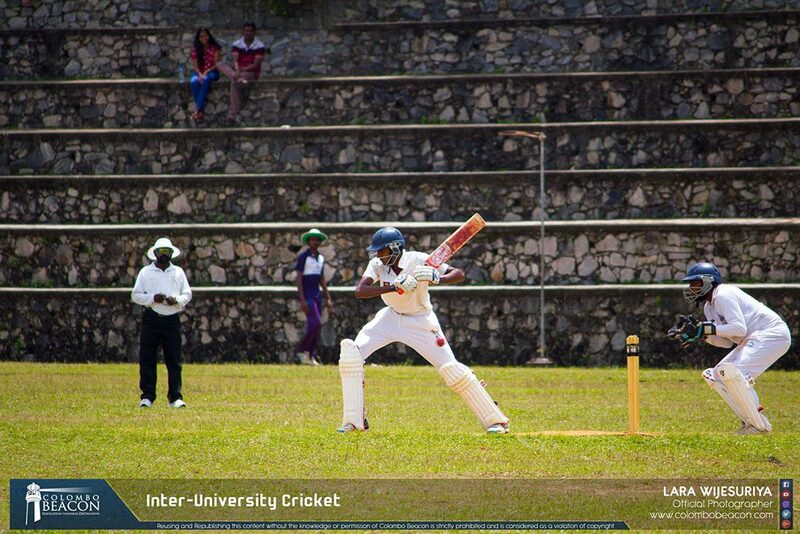 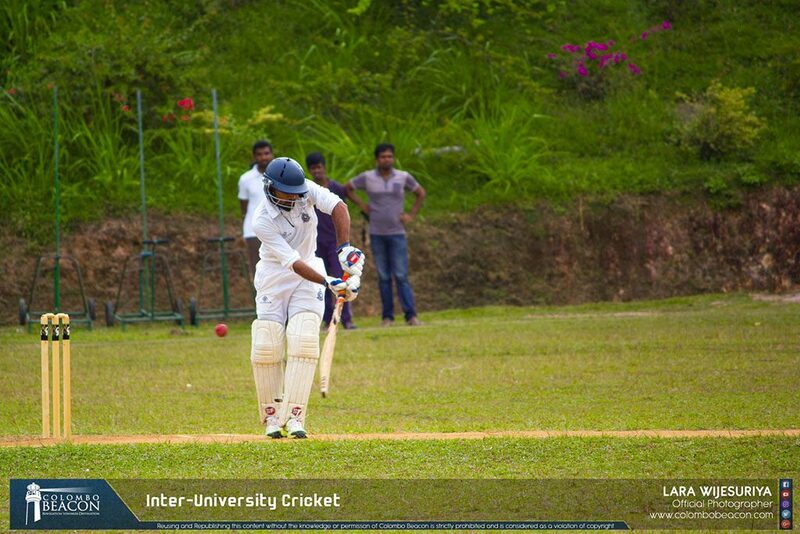 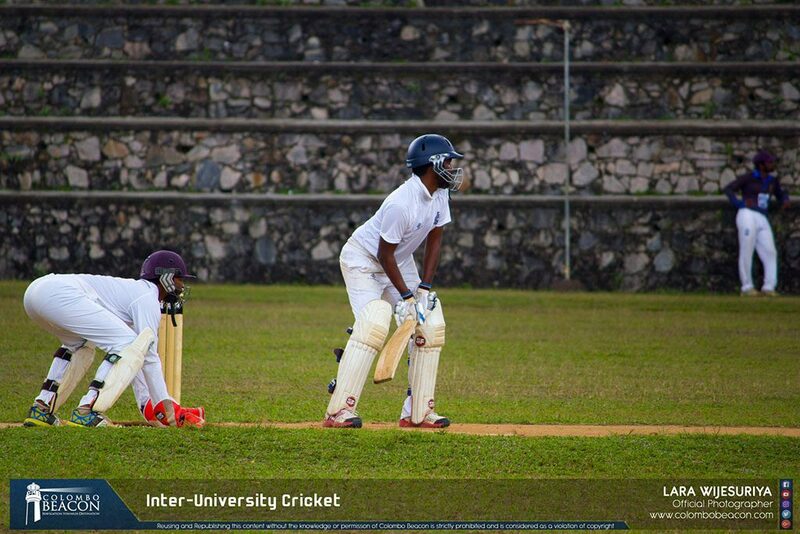 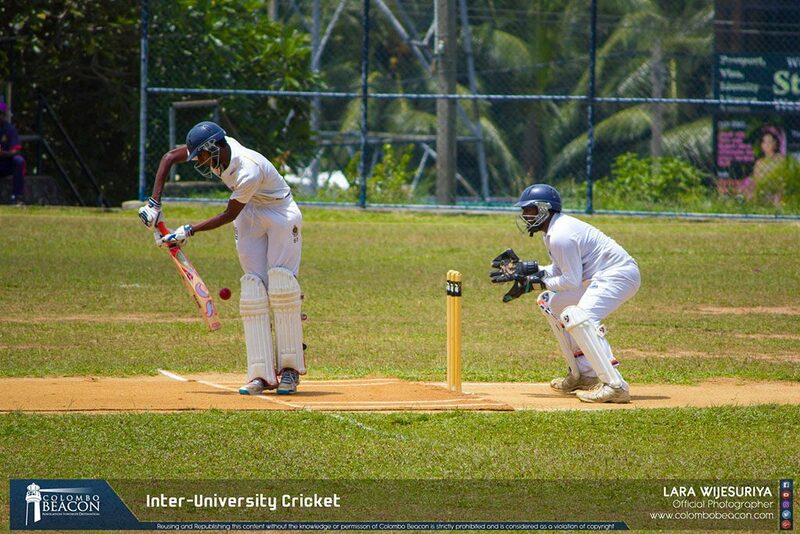 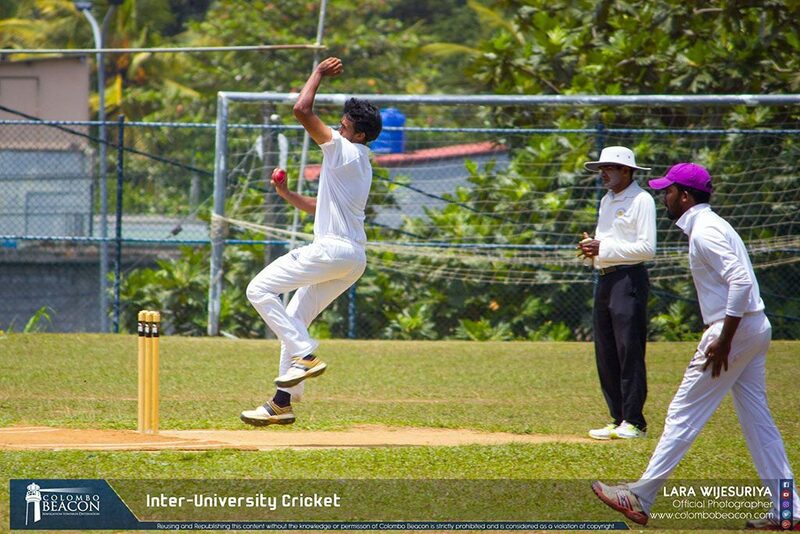 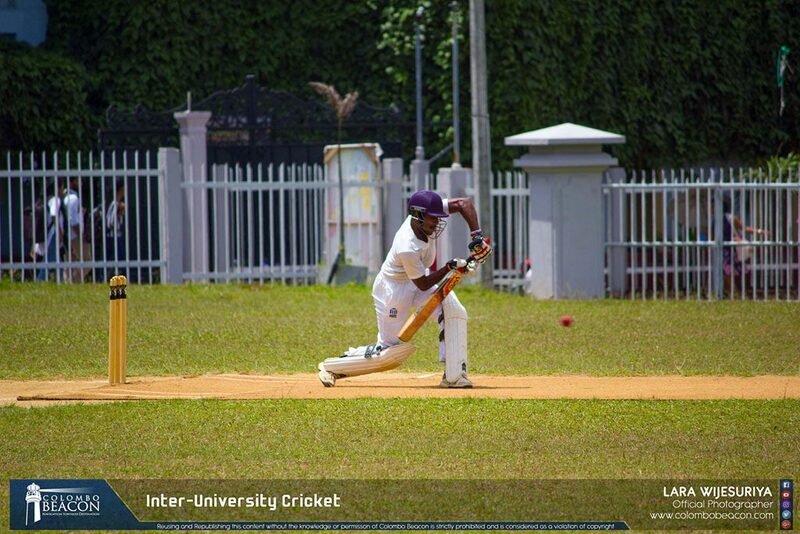 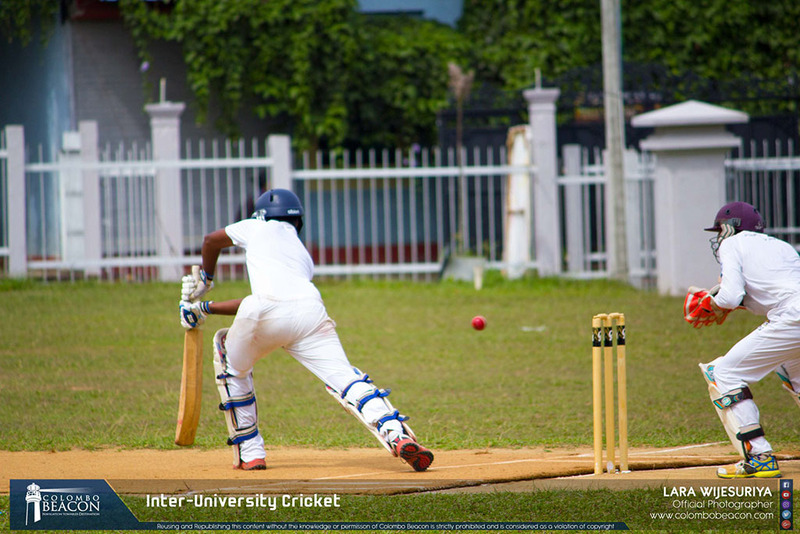 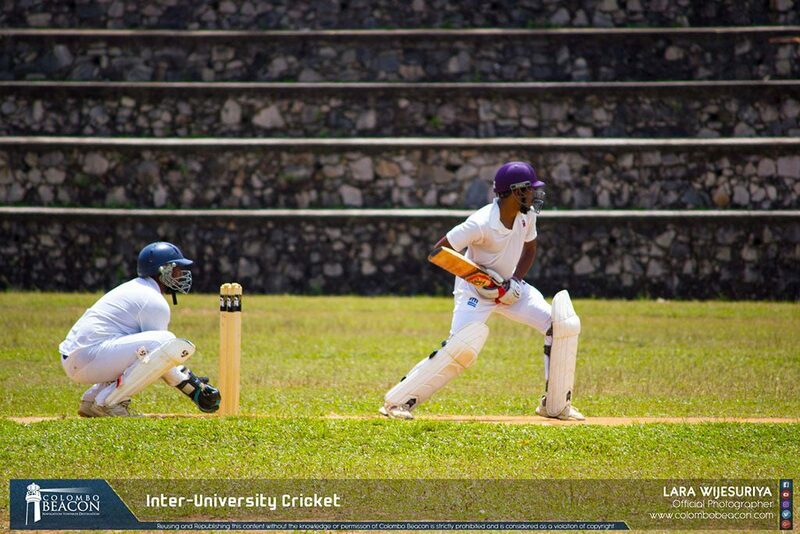 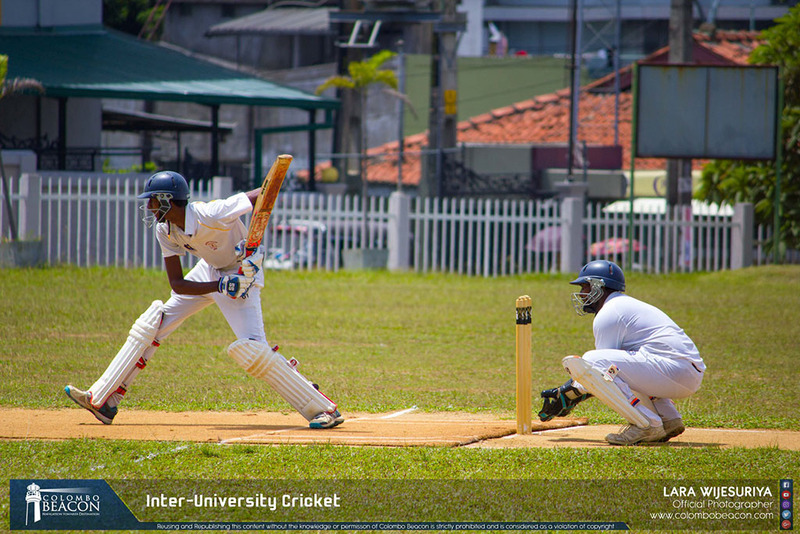 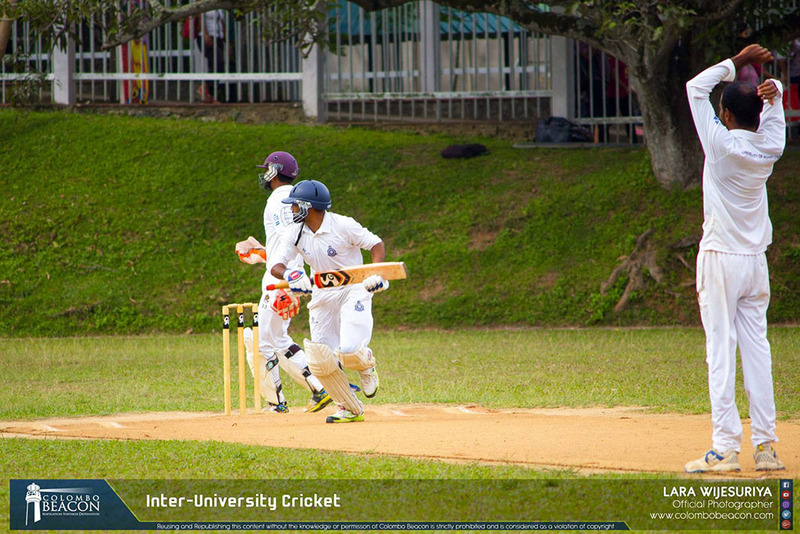 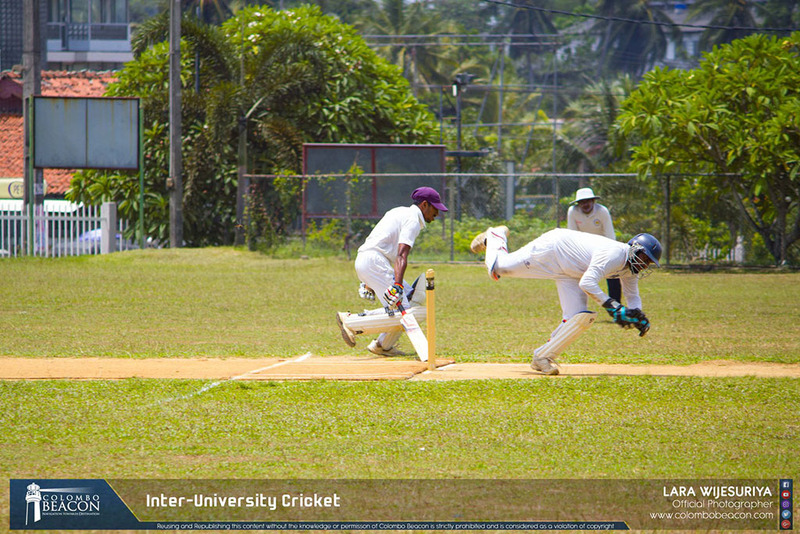 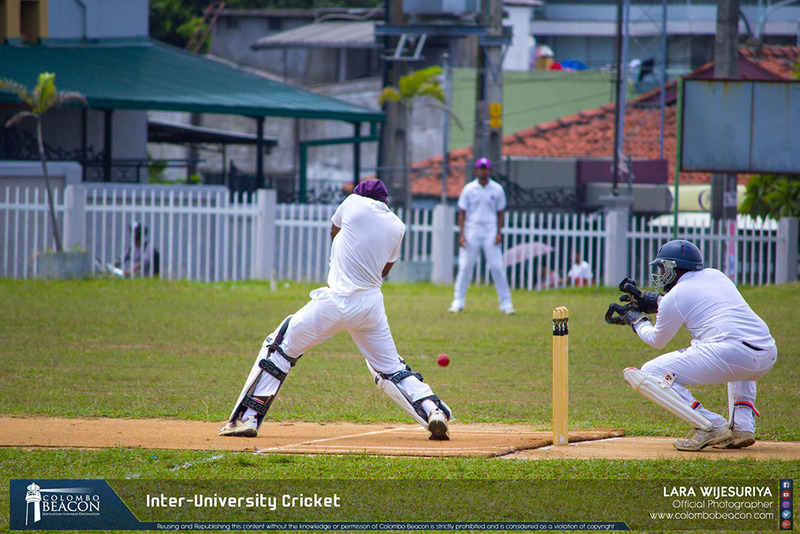 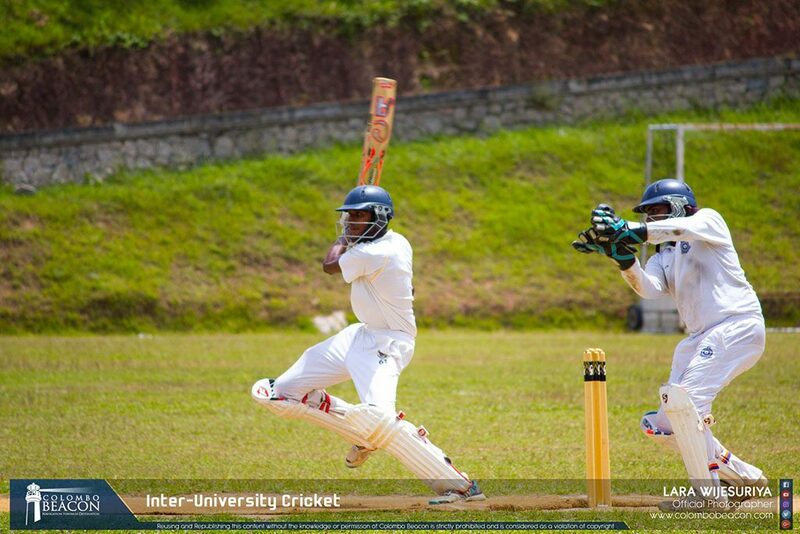 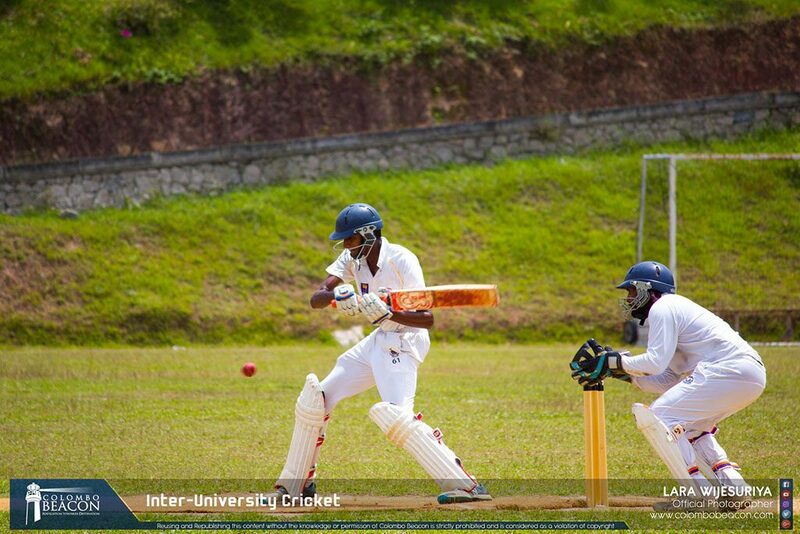 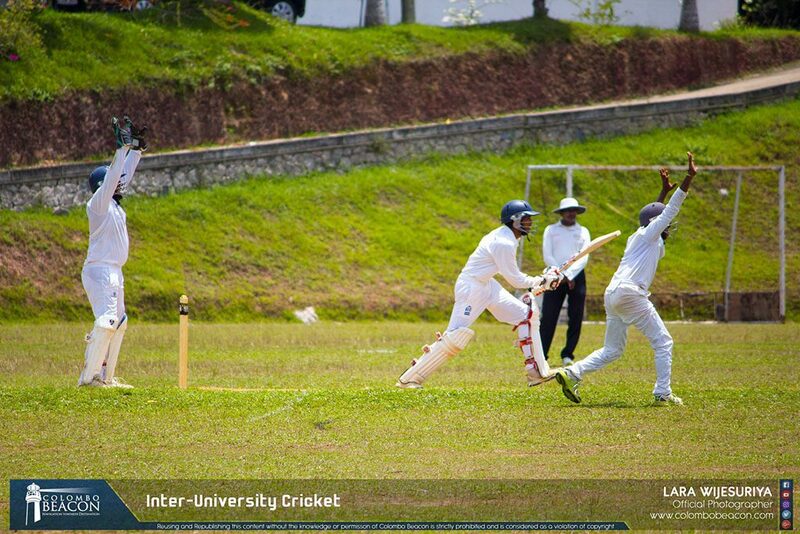 The Inter University cricket championship 2018 was successfully concluded last week with an immense win attained by the University of Colombo Cricket team under the strong captaincy of Tharana Nakandala and Vice-captain Udesh Sendanayake. 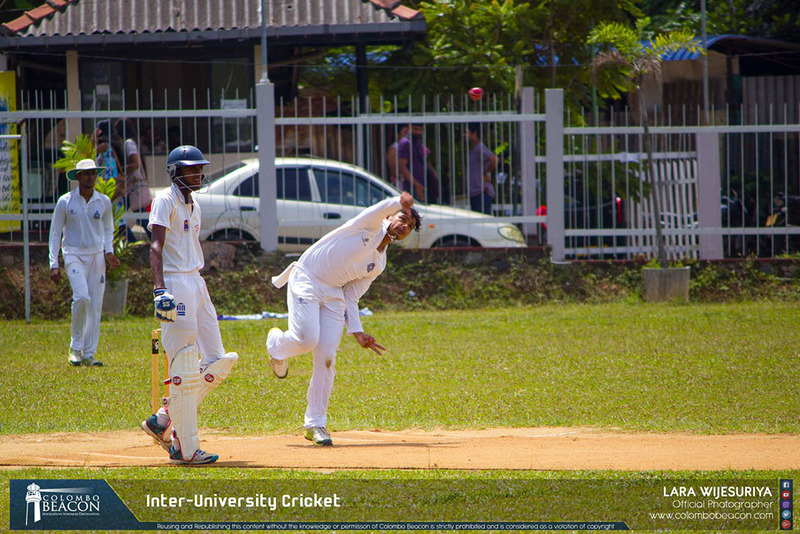 The team was coached under Sanjeewa Jayasinghe who has been their main pillar of success over the past few years. 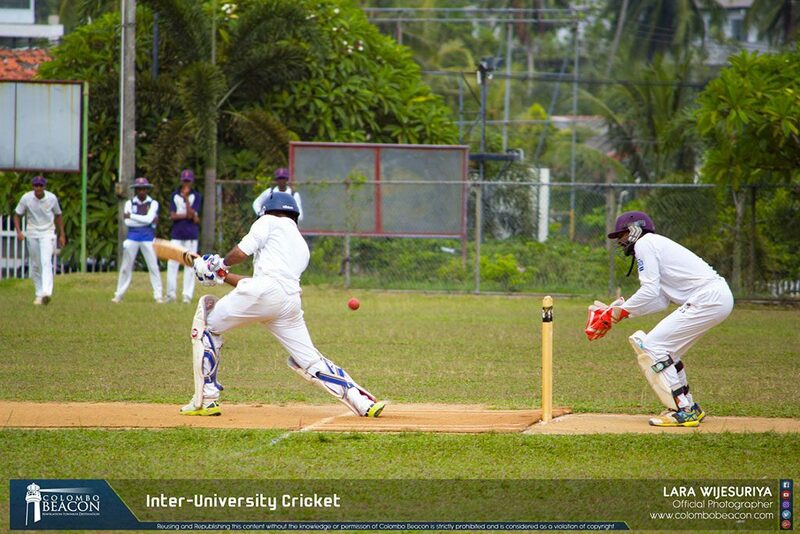 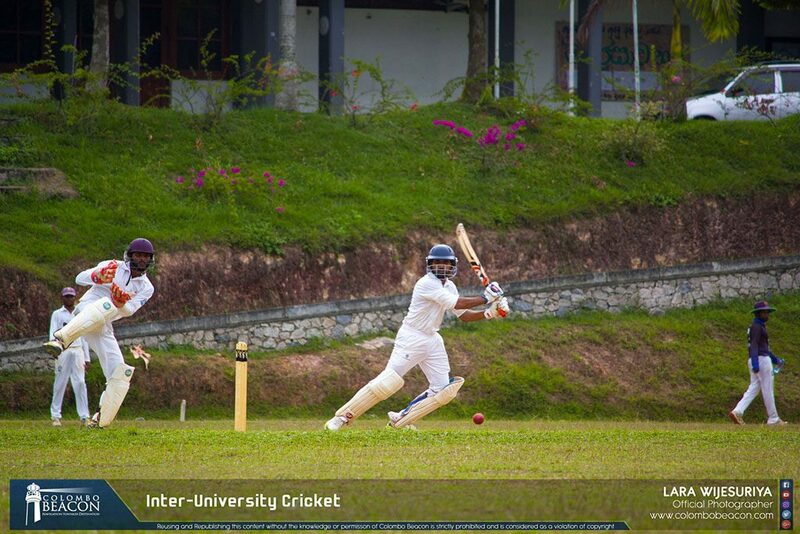 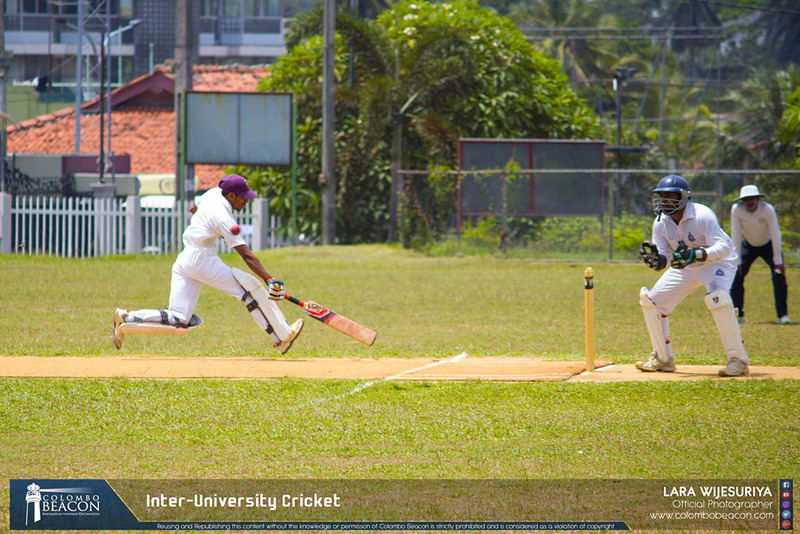 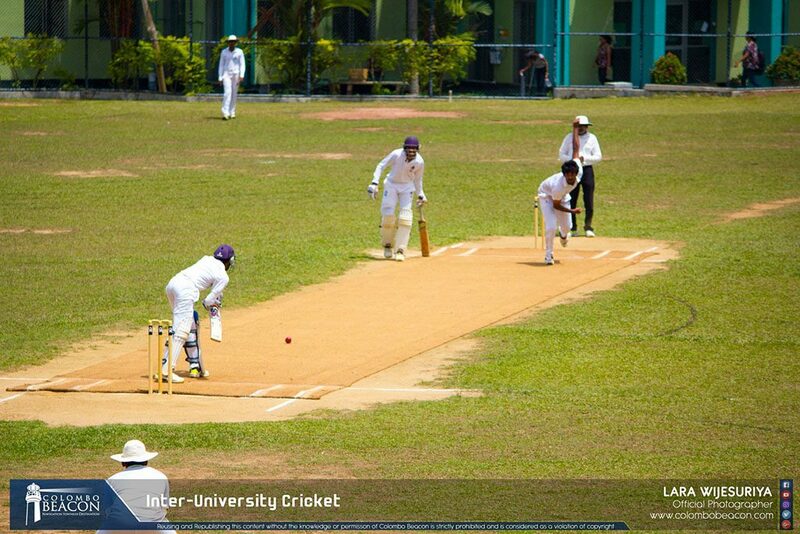 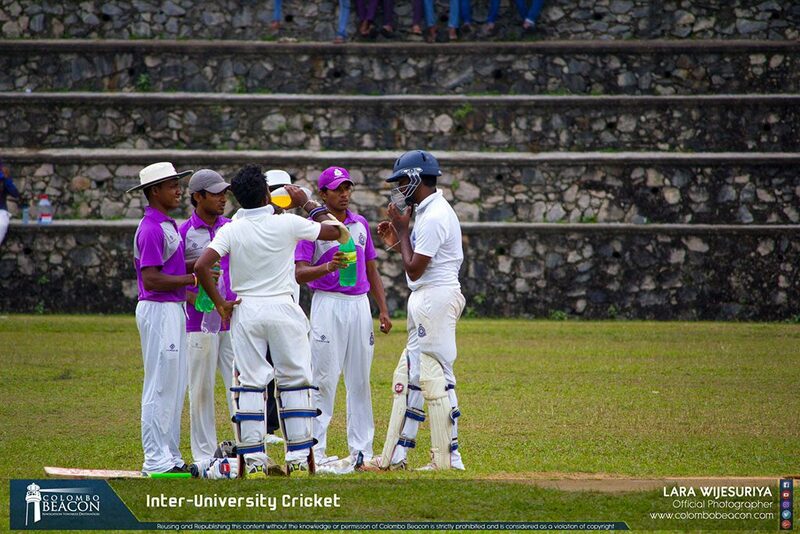 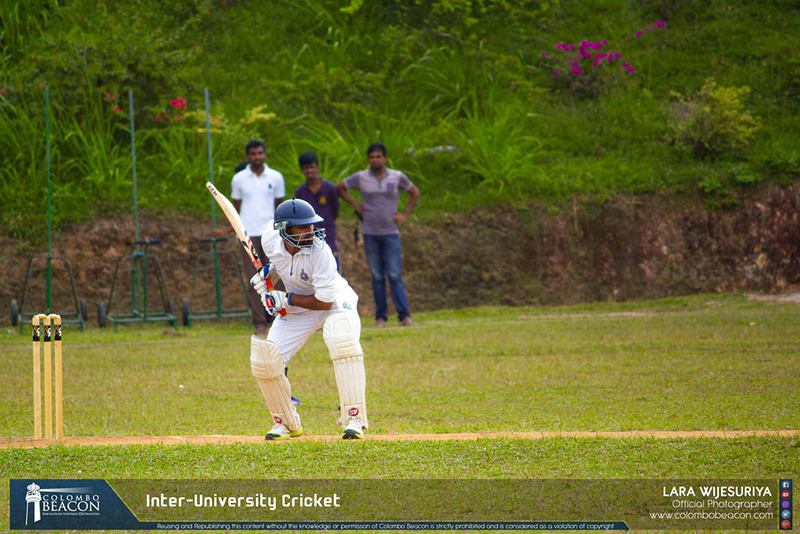 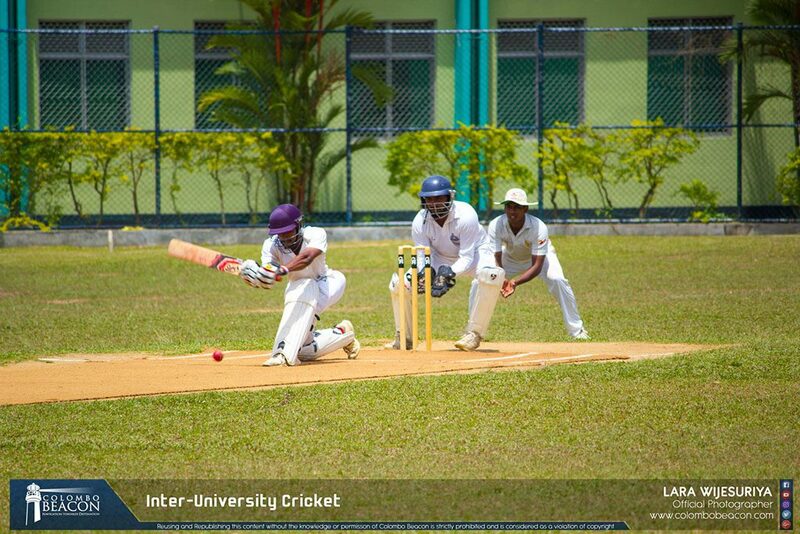 This year’s event was hosted by University of Kelaniya, for which 14 teams participated from universities Island-wide. It is more impressive to be noted that University of Colombo reached towards the championship with the strong spirit and commitment made from the entire team; where they became unbeaten throughout the season starting with preliminary rounds until the finals. 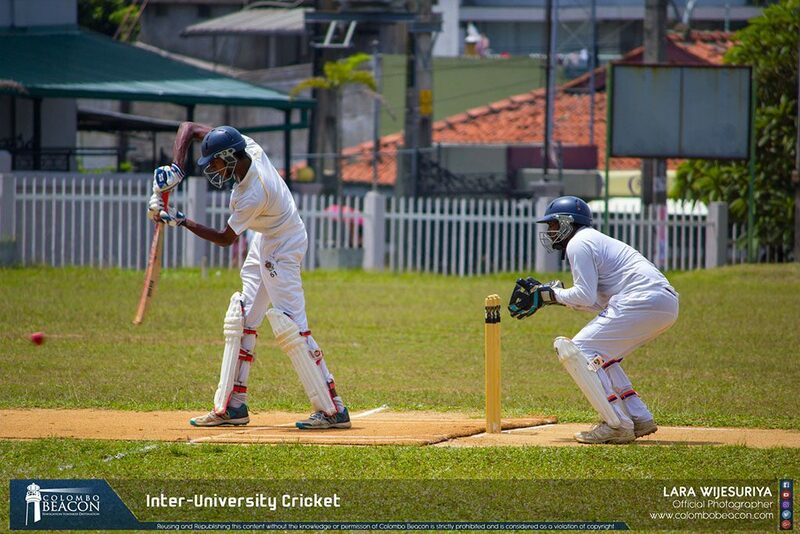 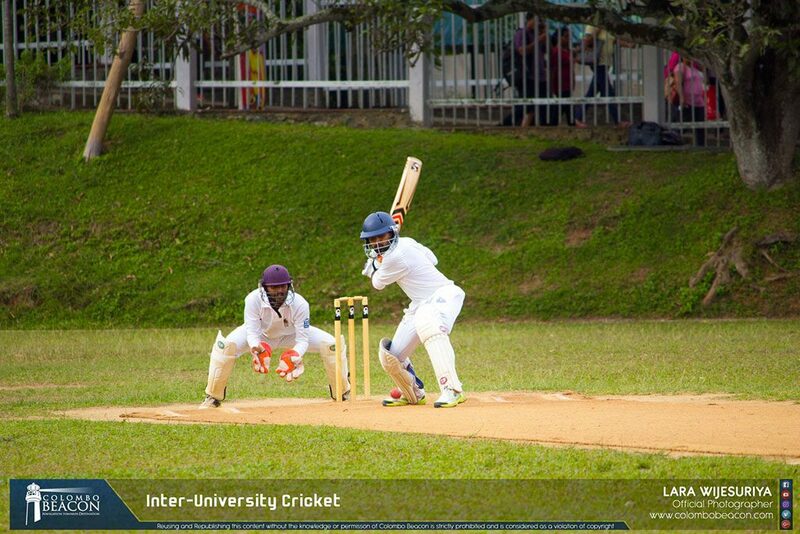 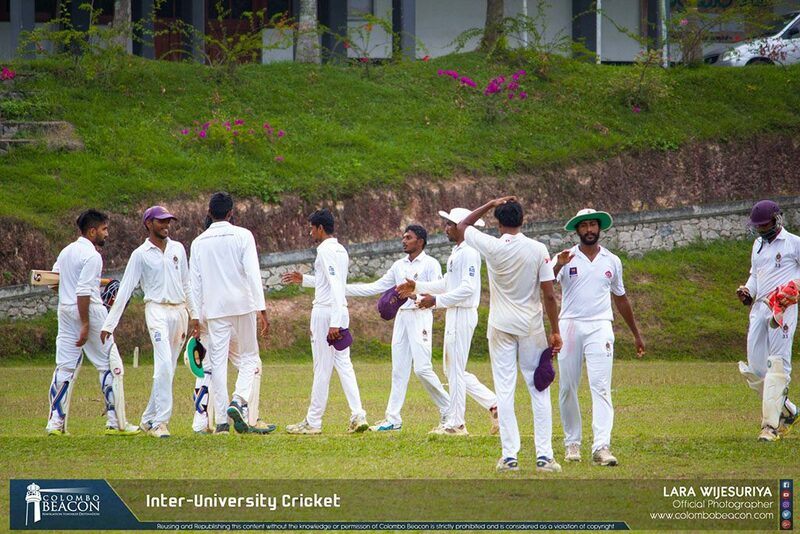 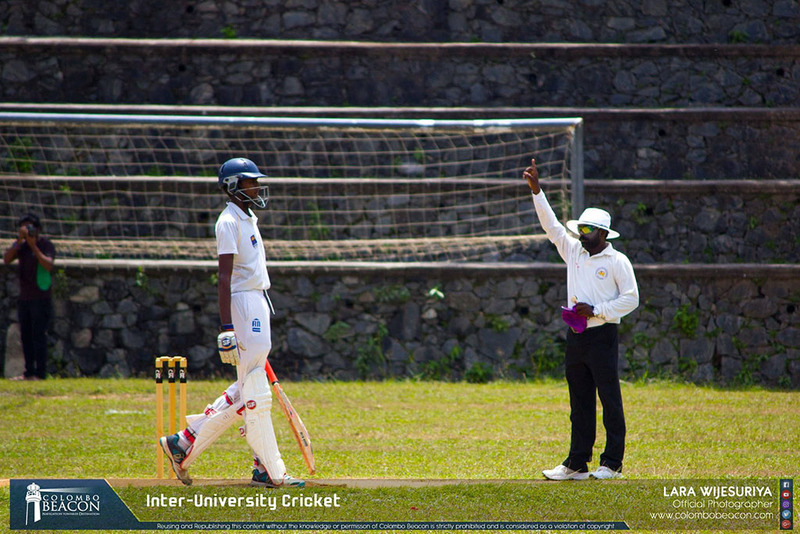 The preliminary round matches comprised of three matches which was with team Visual and Performing Arts, Team Eastern and Team Kelaniya with a notable of 9 wickets, 36 runs and 3 wickets accordingly, which proceeded them to the Quarter finals which was against University of Peradeniya. They were able to further proceed for the Semi-finals with a victory of 8 runs. 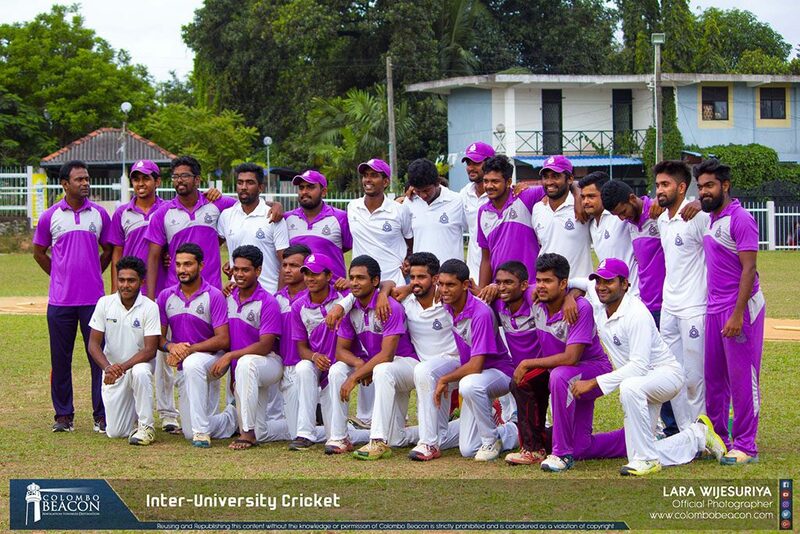 The Semifinals was completed with a victory of 7 wickets against the opposing team, University of Jaffna from where they were carried out for the finals. 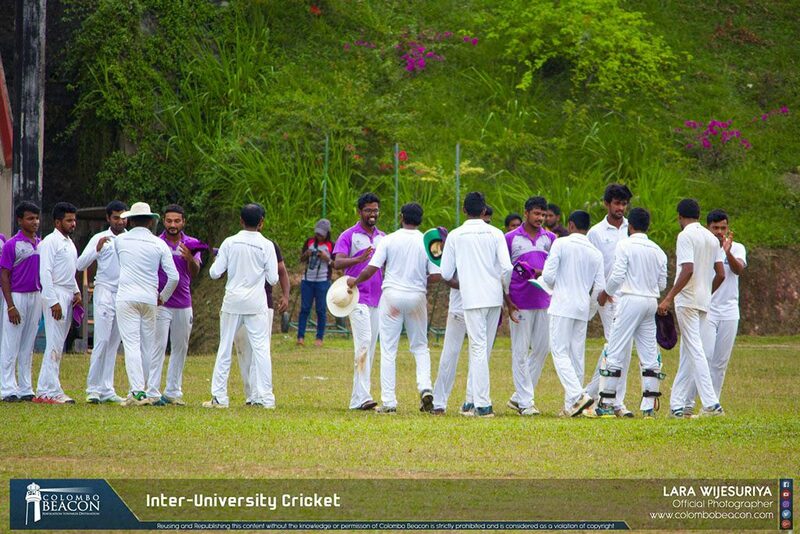 The above mentioned matches ultimately paved the way to reach the most desired championship won over University of Moratuwa by 4 wickets on the 14th of July at the University of Kelaniya grounds where they gained the felicitations as the unbeaten team.